Hitchin is one of the oldest continuously occupied urban centres in Hertfordshire. The ancient Icknield Way passes immediately to the north and there is evidence of Roman activity (for example the Roman villa at Purwell). The origins of the settlement itself, however, probably start later with the Hicce, a Saxon tribe whose name is related both to that of the town and to the River Hiz (the z represents a “ch” sound, so the name should properly be pronounced “Hitch”. The first mention of the Hicce dates from about AD 658-675 in the Saxon period. In 792, the great Mercian King Offa established a Benedictine religious house here, probably precursor of the church of St Mary. During the turbulence of the 9th century, Hitchin lay on the boundary between Viking Danelaw to the north east and the Saxon lands to the south west. Hitchin became the centre of an important Royal estate, the origin of its continued status as a Royal Manor. It was also central, with its Minster Church, to a large ecclesiastical area on the Hertfordshire-Bedfordshire border The entry in the Doomsday Book of 1086 famously records that “Rex Willelmus tenet Hiz” (“King William holds Hitchin”). There is evidence of a relatively large population at this time, the biggest between St Albans and Bedford. That Hitchin’s market does not have a charter strongly suggests it was established long before the Crown sought to control towns in this way. King William Rufus (1087 – 1100) granted Hitchin to the Balliols, a great family in the north who were eventually even Kings of the Scots (and gave their name to an Oxford college). Hitchin was important to them because it was close to the Court in London. There is no mention that the town was ever formally constituted a borough, but it probably was in effect. Hitchin grew wealthy on grain, sheep, cattle, cloth-making, brewing, tanning and associated trades. Moneyed consciences were salved by investment in religious causes: the fabric of St Mary’s Church was significantly embellished with wool earnings, in 1317 Hitchin Priory was founded as a Carmelite Friary and in 1361 a Gilbertine monastery (now The Biggin) was established. It was not all plain sailing: in 1349 the Black Death struck and perhaps as much as half the population of the town died. In the 16th century, new prosperity came with malting and brewing. The town’s reputation for malt led to Queen Elizabeth I’s alleged retort to a Spanish nobleman who had been extolling the virtues of the vineyards at home: “My Hitchin grapes surpass them, or those of any country”. The Dissolution of the Monasteries meant that the Priory passed to the Radcliffes who held it until as late as the 1960s. 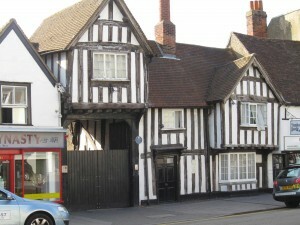 Hitchin made an appearance on the national literature scene in the early 17th century: George Chapman, with family connections to Tilehouse Street, became a friend of both Shakespeare and Francis Bacon and is said to have completed his pioneering translation of Homer’s Iliad on Hitchin Hill. Inclined to the Parliamentary cause during the Civil War, the town is said to have had a hard time during the Restoration. Yet by 1700 it was second in size in the county only to St Albans. The eighteenth century overall saw a settled period of further prosperity. At this time many timber-framed buildings acquired classical brick fronts. Although Hitchin was unusual in that its medieval fields were never formally enclosed, many surrounding areas were consolidated and displaced farm hands would have come to the town to seek better fortune. New trades such as iron-founding and agricultural machinery developed. Philanthropic endeavour improved local health and education through, for example, the first steps towards a local hospital and the foundation of the British Schools (in 1810). Between 1801-51 the population grew as fast as at any time in the town’s history (from 3,161 to 7,077) and yet the accommodation did not expand much beyond its medieval framework. The result was gross overcrowding and serious disease. In 1848 Hitchin was one of the first towns to take advantage of new legislation to establish a Board of Health. In 1850 the Great Northern Railway placed Hitchin on the main line from London to the north and additional links soon connected it to the Midlands and East Anglia. A corn exchange soon attracted merchants from as far away as Liverpool with grain moved by train. William Ransom became a major pharmaceutical chemists and Perks and Llewellyn developed an important lavender industry. The complexity of town administration increased; in 1889 Hertfordshire was given its County Council and, in 1894, Hitchin acquired its own Urban District Council. In the late nineteenth century, towns such as Watford and Luton increased in importance at the expense of Hitchin, but the town proved adaptable enough to maintain the niche position it still has today. Its economic base was diversified from the 1920’s while its essential characteristics as an attractive market town were preserved. 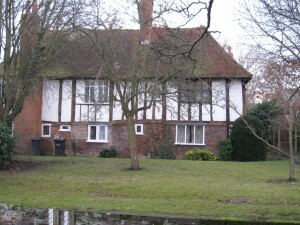 Letchworth developed since 1910 and Stevenage grew, particularly in the 1950s. Since 1945 changes in local agriculture have ended the cattle and corn markets. Town industries such as Ransoms, Russell’s tannery and the breweries have closed or moved out. Many people now make the commute to London or to the pharmaceutical and aerospace companies in Stevenage. This account based on Hitchin Town Guide (2007 and 2011), prepared by Hitchin Town Centre Initiative with the help of Hitchin Historical Society. 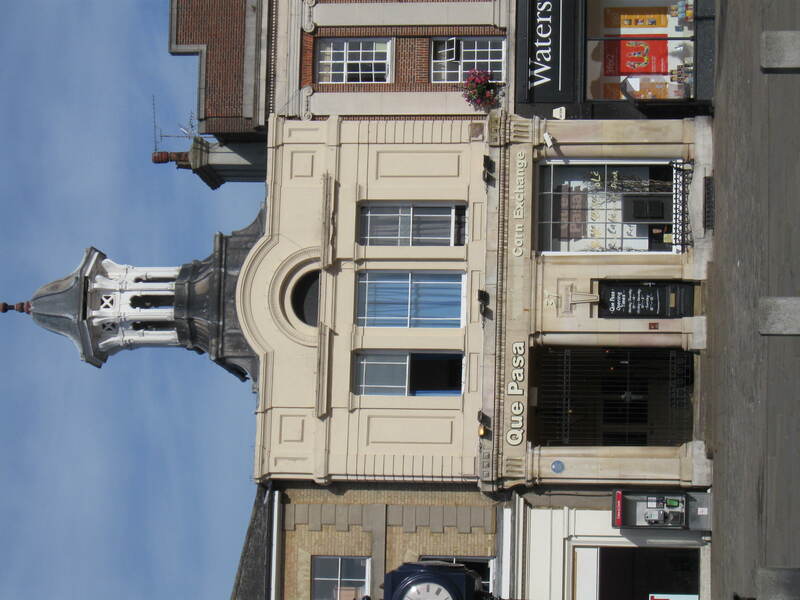 Sources for further information include William Dunnage’s History of Hitchin (1815), Reginald Hine’s 2 volume History of Hitchin (1927/9), the many publications of the Historical Society and diverse others to be found in the library and local book shops. For another detailed account try this link to the About My Area website.